This blueberry flavor has a creamy finish and notes of pastry lingering behind. This flavor is just as you remember it. Candy coated black licorice sweetens your tastebuds while the licorice lingers behind. This flavor goes well morning or night and guaranteed not to keep you awake, unless you vape too much! Sweetened with vanilla, cream and caramel. This is a complex flavor with heavy vanilla, caramel and graham cracker notes. Smooth and rich. Contains less then .004% corn syrup from a TFA flavor, we list it on the bottle for allergies but its an extremely small trace. 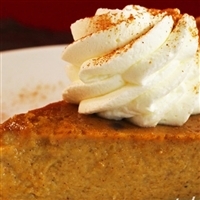 Cozy up with the delicious and lightly sweetened flavor of pumpkin spice cream in this seasonal favorite. *Please allow up to 7 days steep time for flavor to fully develop.